We are the top choice for keeping your home’s windows sparkly clean, making your home’s interior brighter and more beautiful. Have your windows lost their shiny gleam? Let us bring the light back into your home! Windows brighten up any day or room, and if cared for, can save you substantially on your energy costs. But, if they are neglected they can cost you the appearance of your home and can cost you money to repair or replace. Over time pollen, dust and other irritants can start to build up in your home and cause discomfort for your family. Unwashed windows can contribute to these environmental concerns. 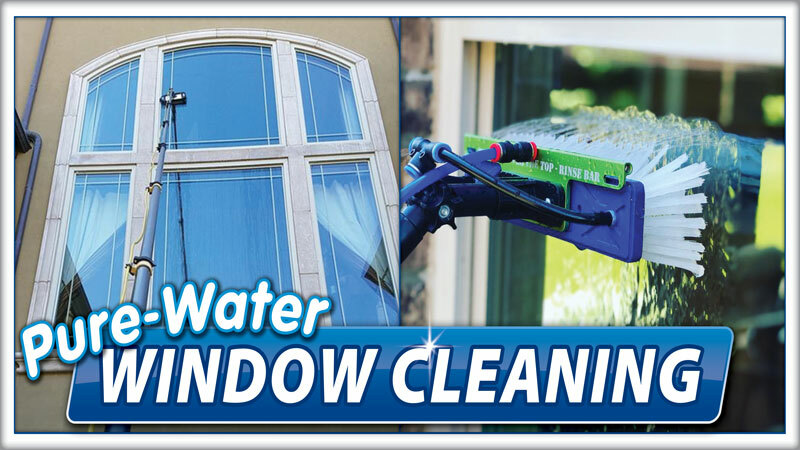 If windows are not washed regularly, permanent water spots can start to form. The only solution may be expensive repairs or even replacement. Save your home’s appearance, and your wallet, through regular window washing.